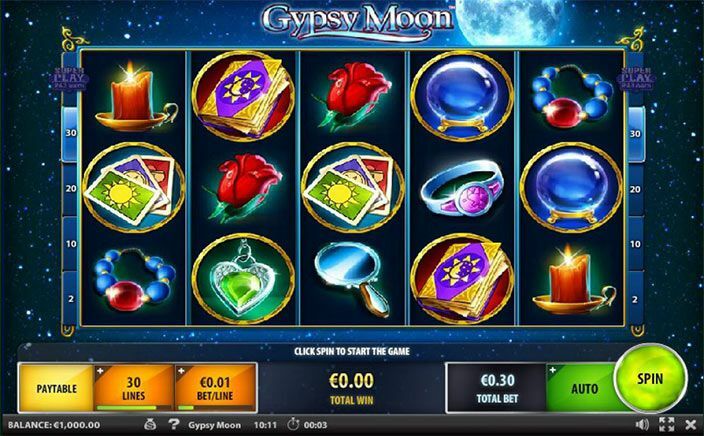 Get ready to be blown away by this amazing new slot by IGT developers, the Gypsy Moon slots. This slot takes you to the land of Romanian Gypsies filled with black magic and dark beauty. The huge number of bonuses and attractive graphics make this slot game very interesting. 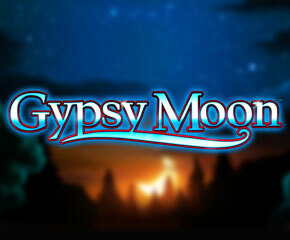 Gypsy Moon slots have been developed by IGT developers. They are famous for providing stunning graphics and excellent gameplay in all their slots. This slot is also developed with the same perfection. Based on the mystical theme the slot has 5-reels and 30 paylines or 243 ways to win. The music goes very well with the dark mysterious theme and the high-quality design of the symbols make them stand out. The gameplay is easy with all the options clearly visible on the screen. You can win really big with the 243 ways to win feature. In this, you don’t have to make a payline because there are none. All you have to do is make combinations of similar symbols on reels from left to right and you are rewarded multipliers according to the symbol preferences. The Gypsy moon is the highest paying symbol in which if you hit 5 of these in a row, you can win 3000x of your bet. If you hit 4 of these then you get 1000x your bet. If you hit the book symbol 5 times in one spin left to right you get 1000x your bet amount. This means with every spin you are winning something, be it big or small. Then you have the scatter symbol which is a zodiac wheel. This is also a very rewarding symbol. If you hit three or more of the scatter in one spin, you get 5x for three symbols, 10x for 4 symbols and 20x for 5 symbols. Apart from this, every scatters symbol will lead you to a bonus game in which you can choose from the various options like 7 spins and 5x your bet, 10 spins and 3x your bet, 15 free spins and 2x your bet or 30 free spins and 1x your bet amount. All of this means that you will win big. There is also a wild symbol that had a Gypsy fortune teller on it which can be substituted for any symbol except the scatter. The symbols are animated and every time you make a combination the symbols come to life. The chances to win big in this slot game are tremendous. You can bet as low as £0.59 and as highest as £1500. Gypsy Moon slots is really an addictive game. The payout is pretty high. The magical graphics and beautiful music makes it even more enjoyable. If you play this slot one time, you are sure to play it again.